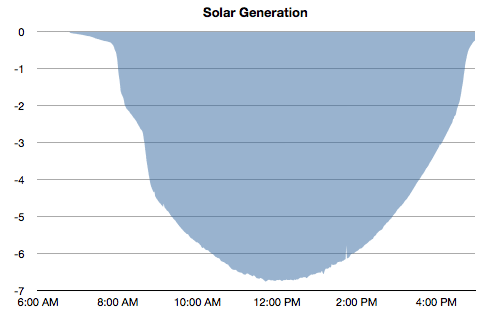 Today we generated our 20th megawatt-hour. It took 837 days to generate 20,000 kilowatt-hours, or roughly 28 months. 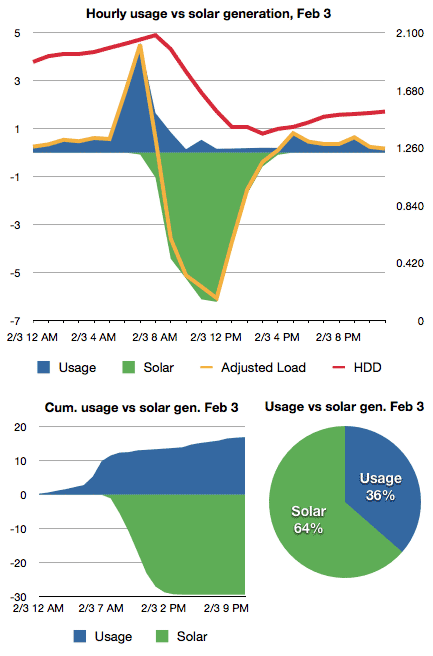 Since we moved into the house January 1, 2012, we’ve generated 15.3 MWh and used 10.6 MWh. 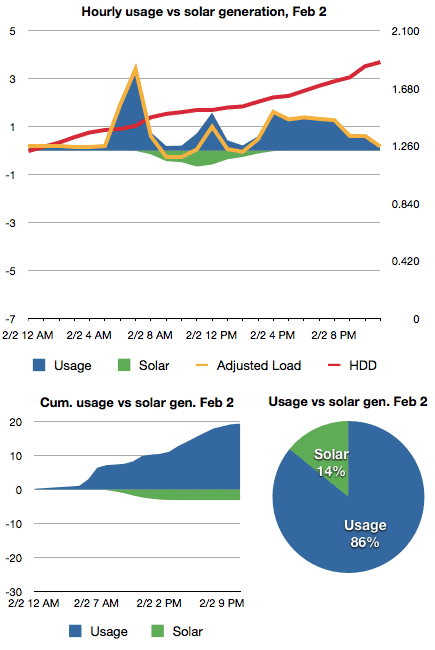 Last month marked our second solar year. 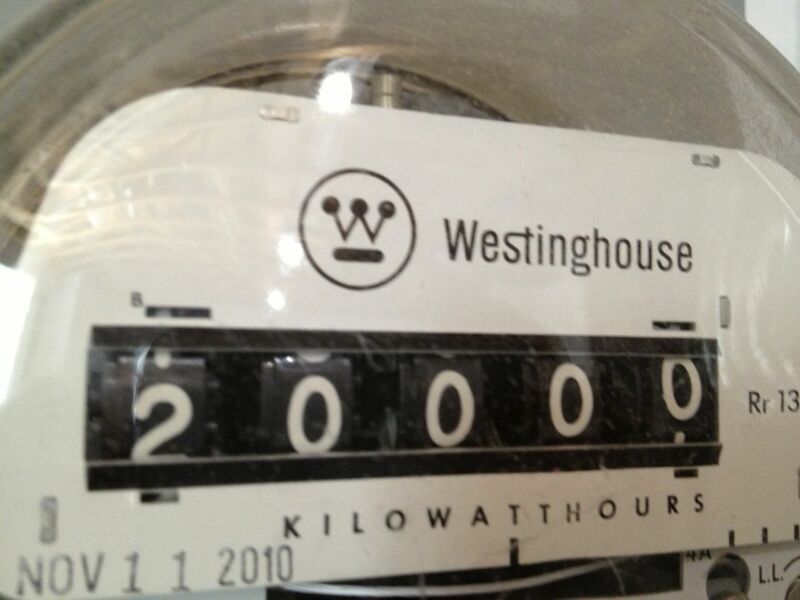 We produced 8,519 kWh and used 6,410 kWh for a net of -2,110 kWh from June 2012 to June 2013. 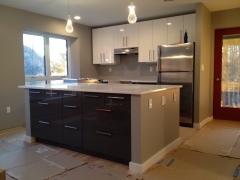 At $0.04 / kWh that works out to a credit of $86.41 from the electric company. 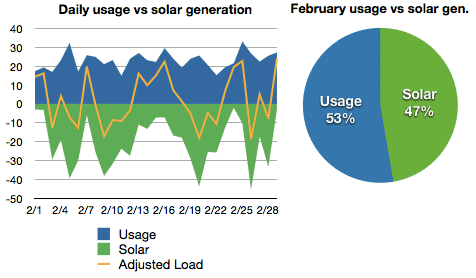 That’s a 46% decrease from last year when we generated a surplus of 3,650 kWh and a credit of $159.68. Not only did we produce less this year, we used more. Note: with the new plug-in hybrid, we’ll be using even more of our surplus, and saving more. We’re spending roughly 13 to 19 cent’s per mile in gas. We’re saving an estimated $400 to $600 in gas each year by using electricity (13 miles/day * $0.19 = 2.47/day * 250 days) which the electric company would only pay us about $55 (1,400 kWh * $0.04) if we sold it back as surplus. 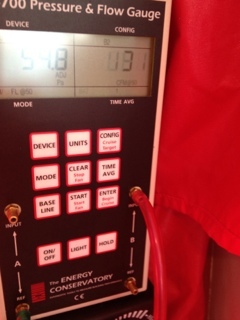 Back in our June performance update, we mentioned that June was our first year anniversary for our solar PV system. 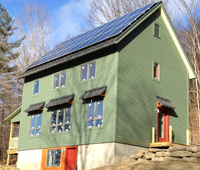 In New York, the utility keeps track of the amount of power we use and generate (net-metering) over the course of a year and on the anniversary date credits the owner with any surplus power generated. 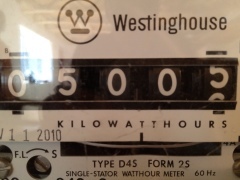 We generated a surplus of 3,650 kWh from June 1, 2011 to June 1, 2012. 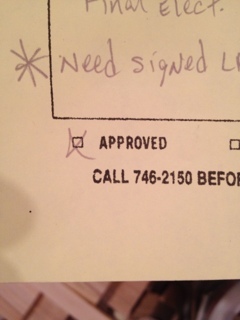 After several calls to customer service and waiting 75 days, we finally got our credit from the power company. That works out to roughly $0.04 / kWh. That would be what the utility calls the ‘avoided rate’, the price they pay for not having to generate the electricity we sent back to the grid. Oh well, at least it will pay for almost 10 months of “Delivery Service” fees in the coming year. Now if New York could just get it’s act together and pass legislation creating a state-wide Solar Energy Renewable Credit (SREC) market. We generated over 8 megawatt hours in our first year of operation. SRECs in nearby Massachusetts are currently going for about $271 per megawatt hour. So 8 megawatt hours in Massachusetts would equal $2,168. $2,168 sounds a lot better than $159.82 doesn’t it? It would also speed our payback period significantly and get a lot more people interested in solar.